This chitterlings recipe is living proof that chitlins can be served as a delicious appetizer. With this recipe you will prepare chitterlings the traditional way but with a slight twist. After boiling your chitterlings until tender, you will finish them off by deep frying them and serving them with remoulade sauce. I have prepared this recipe several times for my guest with surprising results. Many of my guest where not able to guess that they were eating fried chitterlings. After having enjoyed the chitterling appetizer my guest would always ask for the recipe to take home. I did not always share my recipe secret with them, but I am sharing now with you. Start off by cleaning and preparing your chitterlings for cooking. Examine each chitlin thoroughly removing by hand all foreign matter. The best way to do this is under running water. Under running water you need to repeatedly pick clean each chitlin. While picking clean the chitlins you should remove extra fat and any specks that you see. Finish the cleaning process off by washing your chitterlings 3 or 4 times. Place your chitterlings in a large pot, add 4 to 5 cups of water, chopped onions, bay leaves, minced garlic, vinegar, red pepper and other seasonings as desired. Simmer over medium low heat for 2 hours or until chitterlings are tender. Remove from heat and rinse under cold running water. Cut the boiled chitterlings into oyster size pieces and set aside. Beat egg with 1 tablespoon water. 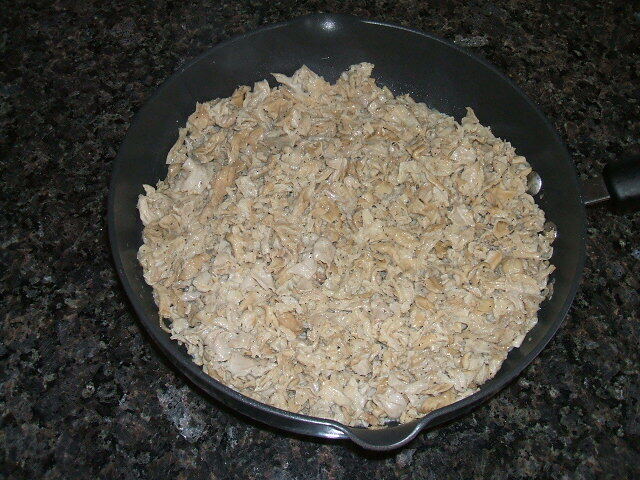 Now dip each piece of chitlin into the egg mixture then roll in crumbs. Fry chitlins in hot oil at about 370° until golden brown. Serve your deep fried chitlins with remoulade sauce. Before you leave, don't forget to check out our other recipes of chitterlings, barbecue pigs feet, and smothered pork chops. If you're like most of my visitors you're going to also love these recipes too. Try out the recipes, then stop back by and leave your review telling us how the dishes turned out.